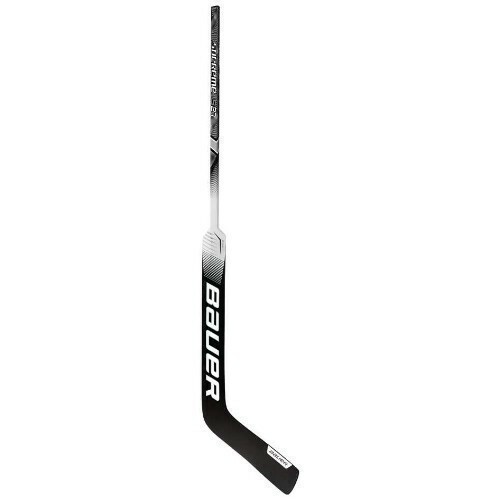 Brand new for 2018, Bauer has continued their revolutionary line and brought out the new Bauer Supreme S27 Goalie Stick. The S27 stick will feature a traditional paddle design and updated shaft construction making the Supreme line of equipment better than before. Starting from the top down, the S27 Junior shaft has been rebuilt using a Carbon wrap and a double concave geometry to make it easier for the goalie to get a smooth grip when shooting the puck, but also helps increase durability from pucks hitting in to the shaft. Moving down into the shoulder, Bauer continues their using their Control Zone with Griptac to give the goalie an unmatched grip on their stick without the weight or tack of traditional hockey tape.